Need to supercharge your labelling game? 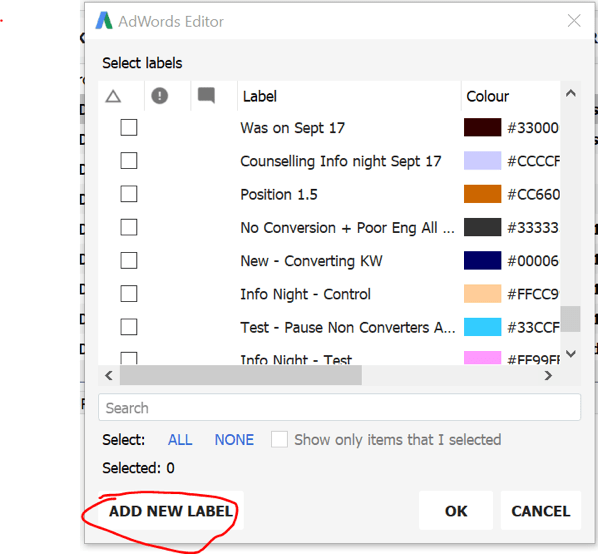 Here is an easy way to label campaigns, Ad groups, Keywords and Ads using Adwords Editor. 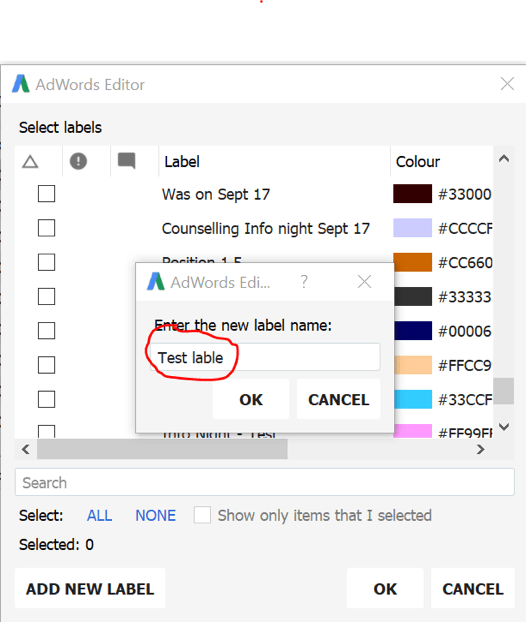 When done just assign the label to the relevant entity.